NOT LOSING WEIGHT, well Why Not? Not Losing Weight as fast as you'd like? Do some housework like washing the floor, a few windows, or scrubbing down the tub or car. A 170 pound person who exerts some extra energy in cleaning, can burn around 4 calories a minutes. If it takes them 30 minutes that’s 120 calories in an hour they could burn 240 calories! Buy 2% Milk- Every little step you take has an impact, if you’re already drinking 2% start drinking 1%. Every time you decrease the percentage you’re cutting calories up to 20%! Once you’ve gotten accustom to drinking skim milk. It doesn’t taste so bad, plus you’ve reduced the fat by about 95%. For a copy you’ll need to email me. Eat lots of yogurt- Yogurt is loaded with calcium and the good kind of bacteria that makes your colon very happy. The University of TN conducted a study and found that people who cut out 500 calories a day and ate yogurt three times a day for 12 weeks lost more weight and fat than a group who only reduced calorie intake. Calcium in low-fat dairy products triggers hormonal responses that inhibit the production of fat cells while boosting the breakdown of fat. Kiss your partner- Kissing someone passionately can burn up to 6 calories per minute. If you spend about 10 minutes a day kissing that’s around 23,000 calories a year or 8 pounds of weight loss. Keep your teeth clean- Simply brushing your teeth after each meal can deter extra and unnecessary eating. The mint from the toothpaste serves as a cue to your brain that the meal is over. 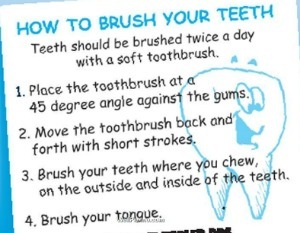 Plus once your mouth is clean and fresh you’re less likely to "dirty" it up! Dress up more- When you look your best you get more compliments which is a great ego booster and will help you feel better about your overall self-image. When you feel better about yourself you’re less likely to eat out of sadness. So the next time you head out to dinner with family or friends put on your most flattering outfit. This is a good remind to be more careful of what you’re eating! Stop eating at 4:30 pm, guaranteed to help you lose weight and keep it off! You don’t have to be on a “diet” just be sensible! Get a comfortable stationary bike. Sit in front of your favorite 1 hour TV show and take off 400 or more calories. 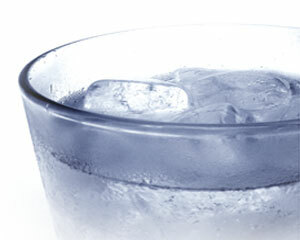 Drink 3 glasses of water with red or Cheyenne pepper in them. It revs up your metabolism so you burn calories faster. Get up at or before 7am it gets the metabolism working earlier and subsequently faster. P.S. Come up with your own ideas for losing weight, if you are not losing weight there's always a reason! People who are overweight or even obese eat way more food then needed to stay healthy. 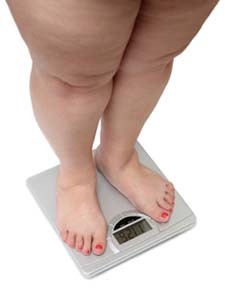 Let's face it, many of us are to big and need to lose weight. But first we must get our eating controlled via smaller portions and new activities to interest us. A lot of overeating comes from boredom and stress, lessen both and feel the weight drop off.